HM King Felipe VI of Spain Opens a Conference in Madrid. 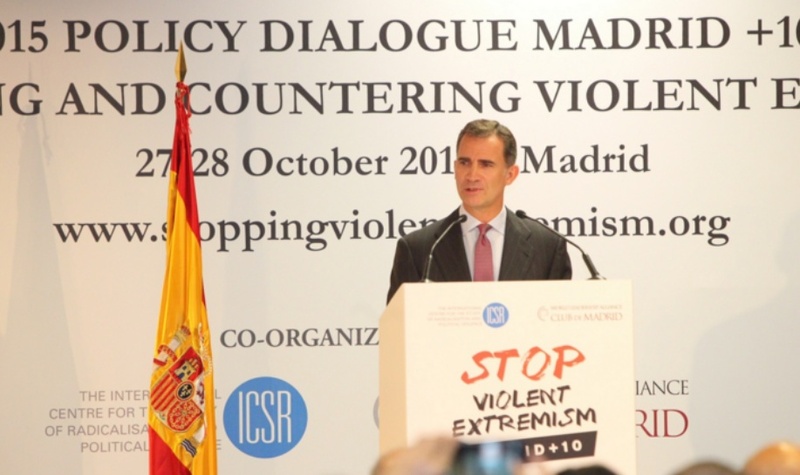 On the morning of October 27, 2015, His Majesty King Felipe VI of Spain arrived at the Palacio Municipal de Congresos in Madrid to officially open the conference, Madrid+10: Preventing and Countering Violent Extremism. Previous (VIDEO) HRH The Duchess of Cambridge Visits the Charity, Chance UK. Next HM Queen Elizabeth II Hosts a Reception at St. James’s Palace.